As a culture, we prepare ourselves for a healthy life by eating nutritious foods, exercising and being mindful of thoughts words and deeds. We can likewise prepare wisely for death by examining attitudes of fear and anger which have traditionally accompanied the dying process. 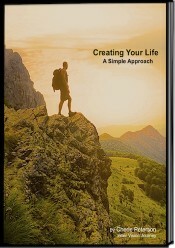 Transformation of old thought forms can come through a greater understanding of what lies ahead. 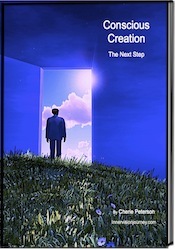 We must begin now to examine ways to more smoothly move through the transition at death into another reality. Volumes of material have been written about angels, Judgment Day, the Bardo of the Between states, after death experiences and how to contend with the death of a loved one or friend. 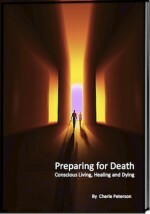 Very little has been written in the West or translated from Eastern texts and traditions about making the after-death transition until recently…. 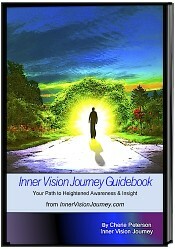 Inner Vision Journey offers a personal guide to developing, enhancing and unlocking answers to life’s greatest questions. In addition to the life changing Inner Vision Journey Guidebook, to encourage self-reflection, visualization and meditation we are offering Preparing for Death – Conscious Living, Healing and Dying by Cherie Peterson to people on the path for a limited time at a special price.